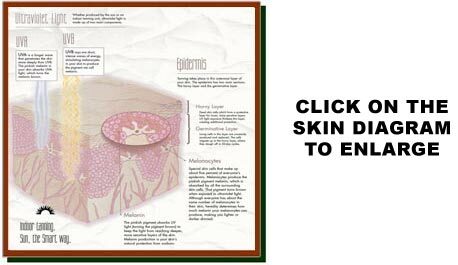 The effects of UV light on human health are of immense importance. 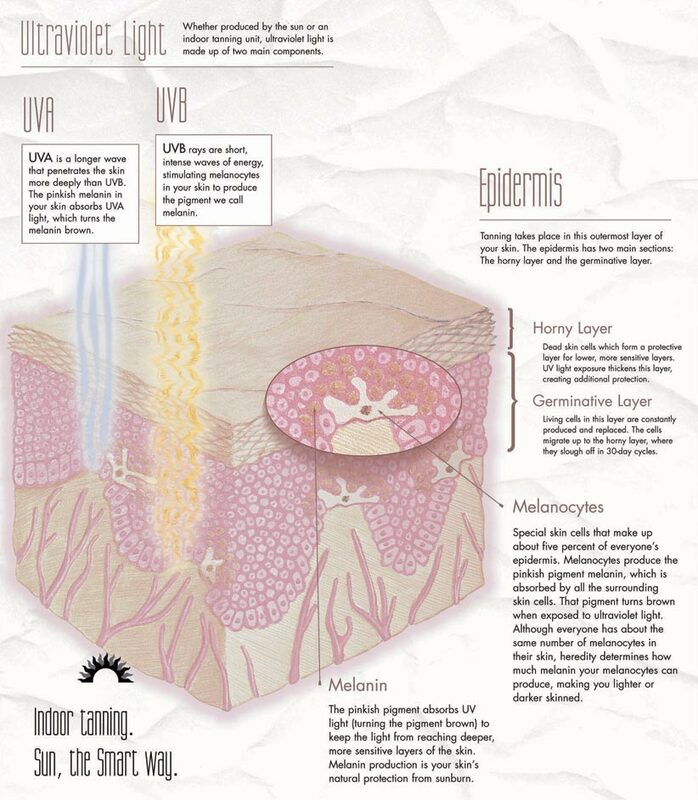 UV light is vital for our organs, our nerves, our skin, our blood, and the stability of our bones. It is also the body’s primary and natural way to produce vitamin D in the body, and recent research has shown that healthy vitamin D blood levels may be associated with lower incidence of many forms of cancer, heart disease, multiple sclerosis and many other diseases. Unquestionably, there is no life without sunlight. But life with too much UV light – overexposure is linked to increased skin cancer incidence – is not good either. The JCTA believes the most responsible way to address this topic is to acknowledge that the benefits associated with regular UV exposure must be weighed against the potential risks associated with overexposure to the sun. Unfortunately, many parties involved in this discussion have conspicuously confused the concept of “overexposure” with “any exposure” – incorrectly leading people to believe that the risks associated with sunburn and overexposure are instead associated with any and all exposure to UV light. That simply isn’t the case. The sun in Canada is an uncertain partner in the tanning process, and 4-6 months out of the year is too weak to generate vitamin D production even in fair-skinned Canadians. That is why the JCTA believes that indoor tanning – in a trained, professional tanning facility – is the smartest way to maximize the potential benefits of regular UV exposure while minimizing the potential risks associated with overexposure. For more information on ultraviolet light please refer to the reference books, downloadable PDF files and website links provided to the left. For further information please contact us. For further educational material please visit www.smarttan.com. Vitamin D production is one of the benefits that has been associated with human exposure to ultraviolet-B (UVB) emitted in sunlight and by an estimated 90 percent of commercial indoor tanning equipment. While the North American indoor tanning industry conducts indoor tanning as a cosmetic service, an undeniable physiological side-effect of this service is that indoor tanning clients manufacture sufficient levels of vitamin D as a result of indoor tanning sessions1. Because there is mounting evidence that vitamin D deficiency is prevalent in Canadian society2, and because of Canada’s northerly latitude which makes natural vitamin D production outdoors impossible six months of the year3, the benefit of this side-effect from cosmetic tanning deserves due consideration. The professional indoor tanning industry was first established in the 1970s in Northern Europe as a therapeutic exercise in light deprived areas. The production of a suntan was initially considered a secondary side effect. The North American tanning market emerged years later in the 1980s as a cosmetic industry – well after therapeutic tanning first began in Europe. In contrast to its European roots, the North American tanning market has focused for years on the non-medical, cosmetic advantages of having a suntan. Nevertheless – whether marketed for this purpose or not – many North American tanning clients patronize professional tanning studios either primarily or secondarily to enjoy the health, psychological, and physiological benefits that have been or are strongly suspected to be associated with UV and vitamin D.
In recent years much has been written and discussed in the scientific community about the health benefits realized by individuals with sufficient vitamin D levels and the fact that vitamin D deficiency may in fact be a â€œsilent epidemicâ€ in North America today. Most notably, of 63 epidemiologic and observational studies that have ever examined the potential relationship between vitamin D sufficiency and a lower risk of colon, breast, ovarian, and prostate cancers, a majority suggest a protective connection for vitamin D4. Further research into this connection needs to be a priority, as the potential upside is too strong to ignore. Further, it is imprudent for public health initiatives to ignore or deny the protective effects of vitamin D, produced naturally through exposure to UVB from sunlight. The Canadian indoor tanning industry’s position on vitamin D is as follows: The professional indoor tanning industry is in the business of providing cosmetic tans. However, tanning lamps that emit some UVB light – and most of them do – have been shown, by peer-reviewed research, to stimulate vitamin D production in the skin and elevate blood levels of vitamin D in the body. While it is not necessary to develop a tan to produce sufficient amounts of vitamin D, and while dietary supplements are an alternative, sun exposure is the body’s natural way to produce vitamin D. The indoor tanning industry believes that, for those individuals who can develop tans, the cosmetic and vitamin D-related benefits of non-burning exposure to ultraviolet light in appropriate moderation outweigh the easily manageable risks associated with overexposure and sunburn. 2. Rucker D, Allan JA, Fick GH, Hanley DA. Vitamin D Insufficiency in a Population of Healthy Western Canadians. Canadian Medical Association Journal. June 11, 2002; 166 (12). 3. “Head for the Equator” chart published originally by Dr. Erin Pammer, Clinical Nutritional Services at the Cheshire Medical Center, Dartmouth College. Nutr News. January 1998. 4. Garland CF, Garland FC, Gorham ED, Lipkin M, Newmark H, Mohr SB, Holick MF. The Role of Vitamin D in Cancer Prevention. Am J Public Health. 2006, Vol. 96. No. 2: 9-18.